BMS (Battery Management System) can monitor or control the battery system, such as the battery voltage measurement, charge and discharge status and battery temperature. It also can provide protector for the battery system, such as overvoltage/ overcurrent protection, temperature control & protection and so on, in order to prevent the overlarge voltage and the overhigh current or overheating temperature to cause the battery or the charging and discharging equipment fault. The basis of the Protocol Analyzer PM1.1 (Power Management) is similar to that of SBS; both of them utilize the Basic Command and Data to manage the power; the operation is simple and reliable, and don’t need the complex Operation Communication Protocol. PM can be divided into two parts: Part1 – General Requirements, Transport and Electrical Interface; Part II – Command Language. When the specifications are divided into two parts, modifying any part of them won’t affect the other part; it strengthens the flexibility of the Power Management for Protocol Analyzer PM 1.1. At present, the Protocol Analyzer PM 1.1 has achieved the supports from Artesyn Technologies, Astec/Emerson Network Power, Intersil, Microchip, Summit, Microelectronics, TI, Volterra Semiconductor and Zilker Labs Inc.
Qi is a low-power wireless power transmission standard for short distance; it is designed by Wireless Power Consortium (WPC), which was established together by ConvenientPower Limited, Fulton Innovation LLC, Logitech, National Semiconductor, Olympus Corporation, Philips Electronics, Sanyo Electric Co., Sang Fei Consumer Communications Co. Ltd and Texas Instrument in 2008. SDQ is one kind of Signal Interface which can control the Battery and Power Supply in a portable device. According to the Protocol Analyzer SDQ Analysis Module, the complex packet of the Protocol Analyzer can be displayed on the window of the software with the graphical mode; it can improve the efficiency of the Special Project Development for engineers. 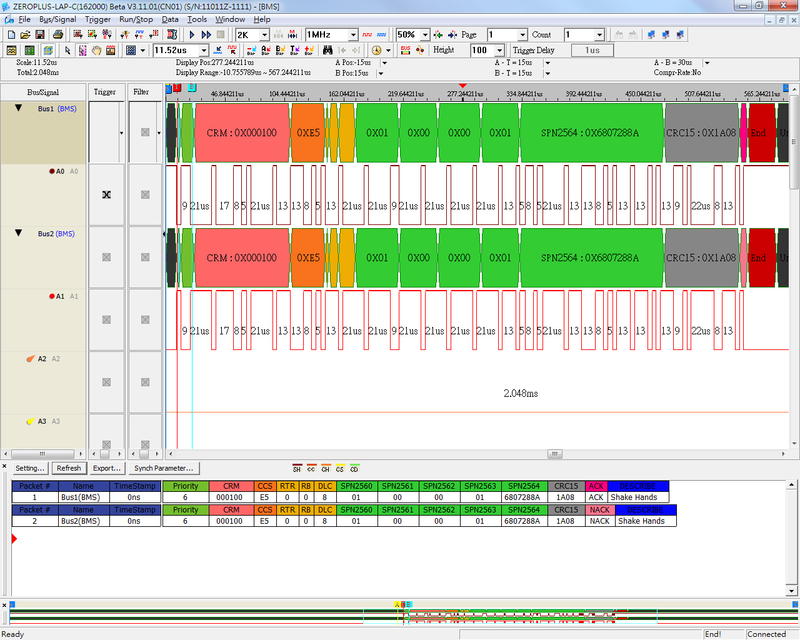 SMBus Protocol Analyzer, put forward by Intel in 1995, is the short for System Management Protocol Analyzer. It is mostly used for communication of the low speed devices in Mobile PC or Desktop PC system. 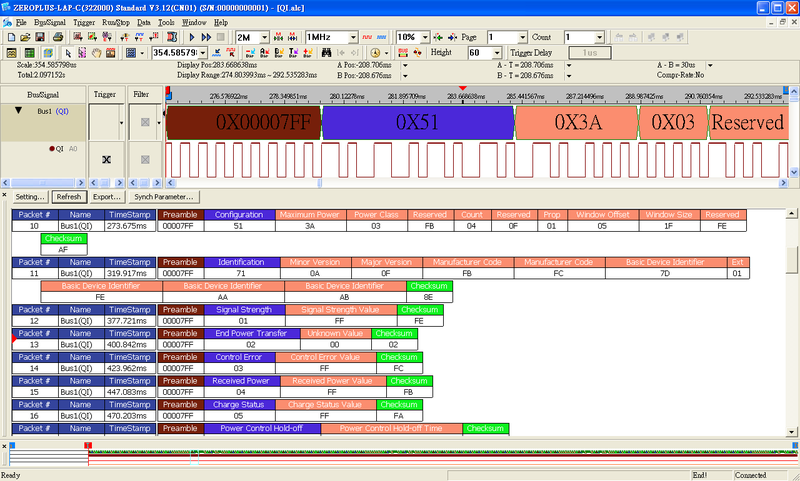 And it is hoped that the main aim of SMBus Protocol Analyzer development is to reduce the cost of the mainboard.